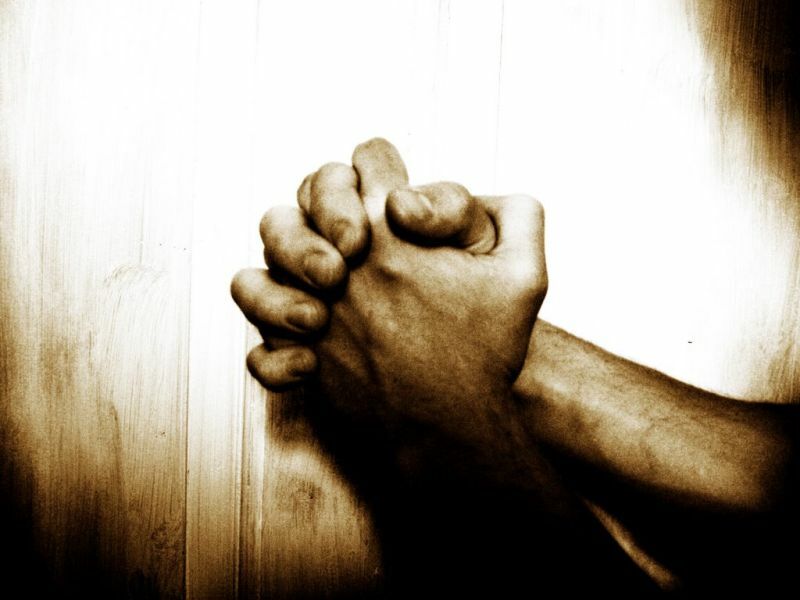 We set aside last Saturday as a fast day: a day of special prayer for the church. In our first meeting of the day, I reminded folk of prayers we had prayed in the past on similar fast days. We gave thanks as we remembered requests that had been wonderfully granted. But we also renewed our prayers for things we had asked for in the past which have not yet been given. In our second meeting, Geoff helped us to think about the present and to pray for all sorts of existing situations and especially some of the people with whom we have contact. That is surely one of the marks of a church that God is blessing! The writer of Acts tells us that the members of the church in Jerusalem, the first church, were devoted to praying (Acts 2:42). And he goes on to tell us about some of the wonderful prayer meetings that that church held. Remember the meeting that was held in Mary’s house when Peter was arrested? How wonderful the answer God granted on that occasion! (Acts 12:12-17). Remember the meeting the church held after Peter and John had been ordered by the authorities never to speak again in the name of Jesus? “When they had prayed, the place in which they were gathered together was shaken; and they were all filled with the Holy Spirit, and spoke the word of God with boldness…” (Acts 4:31). Don’t we want God to make us into the sort of church which regularly experiences such answers to prayer? Isn’t that what Paul prayed that the church in Ephesus would become? He pleaded that the Father of glory would “give you a Spirit of wisdom and of revelation so that you may know Him better, having the eyes of your hearts enlightened, that you may know what are the riches of his glorious inheritance…” (Ephesians 1:18). Peter took it for granted that his readers would “rejoice with joy unspeakable and full of glory” as they thought about Christ and the future he had won for them (1 Peter 1:8-9). Shouldn’t we be humbled, thrilled, awed, filled with joy, as we read great truths from the Bible, and sing them in our hymns, and turn them into prayer? Don’t we want to be the sort of church where even unbelievers who come into our meetings cry out “God is really among you!”? (1 Corinthians 14:25). For Paul, this is the great glory of the church: that it’s the one place where “there is neither Jew nor Greek, neither slave nor free, neither male nor female”, since “all who were baptised into Christ” are “one in Christ” (Galatians 3:27-28). He tells us that this is God’s great purpose: to take fractured, divided humanity, and bring it together in the Church: a single body, a single temple, indwelt by God (Ephesians 2:11-21). He tells us that angels and demons look at the church and are forced to confess the amazing wisdom of God, when they see how different types of people are brought together, and become one in Christ there (Ephesians 3:10). Shouldn’t we be the sort of church where God wins himself glory in that way: a church where folk from different nations praise God together, where young people and old people work side by side, where millionaires and out-of-work teenagers encourage and pray for each other? The New Testament never talks about “the elder” or “the pastor” of a church. It’s always “the elders” or “the pastors”. No one man has all the gifts that are needed to lead a church. I’m very glad that this church now has two pastors. But why stop at two? Wouldn’t it be wonderful to have one man whose special gift was in one-to-one pastoral care; another man who was particularly gifted as a Bible teacher; another whose special calling was to preach the gospel to the unconverted; another who was full of the wisdom needed to direct the affairs of the church and lead it forward? We read of five key leaders in the church in Antioch: “there were prophets and teachers, Barnabas, Symeon Niger, Lucius of Cyrene, Manaen (a member of the court of Herod the tetrarch) and Saul” (Acts 13:1). Why should this church make do with two? Paul tells us that a church only matures when “every part is working properly” (Ephesians 4:16). But in almost every church, it seems there’s a core of committed members who are truly devoted to the church, and there’s a fringe: folk who may be members on paper, but who are hardly involved at all. The core people can be relied on to use all their gifts and resources for the benefit of their fellow-members. The fringe people will do no more than they find convenient. Sadly, it seems that, in many cases, as a church grows larger, the core gets smaller. Will that be true for us as a church? Or will we be like the church of Jerusalem where all the members were “devoted to the apostles’ doctrine and the fellowship and the breaking of bread and the prayers…” (Acts 2:42) ? The Lord has never promised that a faithful church will see conversions. The church in Philadelphia was a faithful church, yet it remained small (Revelation 3:8). But nonetheless, the Lord Jesus did tell his disciples that they would be fishers of men (Matthew 4:19). And the commission he has given his church to the end of the age is “to make disciples, baptising them in the name of the Father and the Son and the Holy Spirit” (Matthew 28:19). And the Lord did add to the church in Jerusalem daily those who were being saved (Acts 2:47). So should we be contented if we see few or no conversions? If the Lord allows us to sow seed, shouldn’t we expect harvest? And wouldn’t it be to God’s glory if those who are saved come from all sorts of situations and backgrounds? Some churches only seem to reach elderly folk. Others only reach students. Can’t we pray that the Lord will use us to reach all sorts? We live in a society where family life is under huge pressure. Many children grow up in homes where they have never experienced “normal” family life – father, mother, brothers, sisters living together in love, loyalty and peace. But surely our homes should be different. When Paul writes to churches, he puts great emphasis on family life (Ephesians 5:26 – 6:9; Colossians 3:18 – 4:2; 1 Timothy 5:8, etc). Shouldn’t every family in the church be a family where there’s daily worship, where there are strong relationships, where there’s biblical discipline? What a witness it presents to the world, when folk come into the church and see real family life: husbands who love their wives, wives who submit to their husbands, children who honour their parents, parents who bring up their children wisely and lovingly. Will we be the sort of church where every family lives like that, and encourages every other family to do the same? Over the past seven years, we’ve planted another church, in Charlesworth. 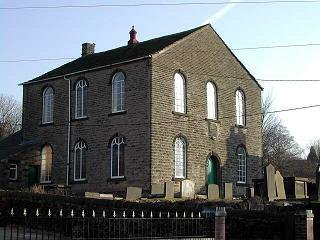 Or rather, the Lord has planted another church in Charlesworth, and allowed us the privilege of being involved in that. Why shouldn’t it happen again? And again? And again? If he could supply all the resources, the personnel, the strength for this project, why not for the next? What means did God use to plant churches throughout the Gentile world? He didn’t raise up a missionary society. Instead, he moved one local church – the church in Antioch – to send out church-planters (Acts 13:1-5). That church sent out its best men, Saul and Barnabas, and trusted God to fill the gaps. Can’t we trust him too to give us all the help we need? Can’t we be a church like the church in Antioch, a church that God uses to plant churches? Paul trained Timothy. And then he told him, “what you have heard from me before many witnesses, entrust to faithful men who will be able to teach others also…” (2 Timothy 3:2). Paul passed the baton to Timothy. Timothy passed it to other faithful men. They passed it on to others. That’s the way the truth is preserved from generation to generation. We can thank God for the part this church has been allowed thus far in preparing men for Christian service. Some came to us as students, were grounded here in God’s word, and are now preaching it in different parts of the world. Some came to our study-weeks, learned to love the Bible, and are now pastors themselves. God’s given us that ministry in some small measure already. Can’t we pray that it will continue and grow? We need leaders for the next generation! No church should live in isolation. The New Testament takes it for granted that churches will be in touch with one another, helping one another, sharing resources with one another, praying for one another. We trust that this church will have such happy, wholesome relationships with many other gospel churches. But more than that, we want this church to influence other churches for good. We’re living in a day of confusion when many churches that were once faithful are losing confidence in the Bible. Some have decided that everything has to be “fun”. Some have decided that social activity rather than gospel proclamation is the way ahead. Well, this church hasn’t got everything right by a long chalk. But surely we should be encouraging others to hold fast and to press on. The church in Colosse was told to make sure that the letter they’d received from Paul was read by the sister church in Laodicea. They had to pass on a message to a flagging believer called Archippus: “see that you fulfil the ministry which you have received in the Lord…” (Colossians 4:16-17). Can we be a Colossian church – the sort of church that God uses to stir up others? From the beginning, the church in Jerusalem knew that it had to provide for needy Christians. “All who believed were together and had everything in common; and they sold their possessions and goods and distributed them to all, as any had need…” (Acts 2:44 – 45). That church made sure that its destitute widows were fed regularly (Acts 6:1-6). Paul took it for granted that other churches would follow suit (1 Timothy 5:3). Well, how does that work out in our society? Should elderly Christians who can no longer care for themselves be forced into council-run nursing-homes where there is little or no spiritual support? Or will we need to provide nursing care ourselves for such folk? Or safe homes for Christians with learning difficulties? Or facilities where psychologically damaged people can find peace and stability? Isn’t that part of what a church should be doing in the wreckage of 21st century Britain? Paul warned us that “all who live godly in Christ Jesus shall suffer persecution” (2 Timothy 3:12). Why should we be exempt? All the signs are that the hostility of our society against Christians and churches is growing. This church is going to need wisdom to know where it can bend with the wind and where it offer resistance. It’s going to need courage as persecution intensifies. It will need clear thinking. (When do we defend ourselves in the courts, and how? When do we run – and where to? How do we support believers who are being harassed?) It’s going to need a spirit of faith and perseverance. Will this church be ready when the wave of persecution breaks? Is this the sort of church God wants us to be? Can God make us into this sort of church? Should we ask him to do it? And we said yes. This is the sort of church God wants us to be. Yes, God can make us into this sort of church. Yes, we’re going to ask him to do it. And then we prayed. So let’s keep praying. And God will surely answer. « We would see Jesus?